When I solicited ideas from readers on Twitter about subjects to write about this weekend, I ended up with a lot of competitive votes suggesting either Macs or iPads. Coincidentally, a provocative graph (above) of Apple's historical revenue mix by DataVisualisations was widely shared last Friday, showing the parallel trajectory of iPad and Mac sales. What's so captivating about the graph is that it shows the evolution of Apple--from nearly exclusive sales of Macs 20 years ago, to a fairly even split between Macs and iPod ten years ago, to its status today as the iPhone maker that also sells iPads and Macs (along with Other Products and Services--much of which represents sales of iOS apps). Note that the graph depicts a relative percentage of revenues by reported product categories over twenty years of sharply increasing revenues. Today's current slice of revenues from Macs is far larger than two decades ago, when Macs represented virtually all of Apple's income. If you're still wondering why Apple hasn't updated its desktop Macs (the mini and Pro), their relative importance to Apple's revenues certainly plays a factor. However, those products may also involve a strategic importance. Given that iMacs make up most of Apple's desktop sales, it's likely we'll see it updated first and the Pro next, while the mini might never be refreshed. More interesting, it seems, is how much development effort Apple plans to invest in iPad vs. the Mac. Over the past few years, both have contributed similar revenues and profits, although iPad has sold in greater numbers (albeit at lower prices). However, this doesn't suggest a rivalry for attention over scarce resources. iPads and Mac are not only equally important revenues sources today, but they also serve different price points and audiences, meaning there's no reason for Apple to want to starve one to benefit the other (such as it did when it transitioned from Apple II to Macs in the 1980s, or in the 1998 cancelation of Newton to focus on Macs, or the discontinuation of PowerMacs for Intel Macs that started in 2006). Additionally, the massive numbers of iPads sold since 2010 have actually contributed to Mac sales, in part because all the iOS software they run requires developers to use macOS and Xcode. Additionally, much of the manufacturing technology developed for light thin iPads has also served to enhance the design of new Macs. Entire classes of new features developed for iOS have also benefitted Macs, from software frameworks to Touch ID to the ARM chips that run the Touch Bar on new MacBook Pros. There is heavy cross pollination between macOS and iOS. Focusing on one platform to the detriment of the other currently does not make any sense at all. However, while iPads and Macs keep sharing various bits of software and manufacturing technology, there's also good reason for Apple to avoid the cliche advice that begs the company to blur the line between the two platforms in order to achieve some sort of hybrid convergence. Much of what has made iPad successful as a product and as a platform is its clear differentiation from the conventional PC. Rather than relaxing that, Apple appears to be doubling down on Steve Jobs' vision of iPad as a "Post-PC" computing device. iPad "better than a computer"
For years, critics have trotted out the trite notion that iPad is "not powerful enough to be a real computer" and therefore only good at "consumption." In response, Apple's latest batch of iPad ads--responding to real tweets--positions iPad's design as "better than a computer." In an homage to "Get a Mac" ads, one focuses on the iPad's inability to contract PC viruses. Other clips tout that iPad is "faster than most laptops," offers ubiquitous LTE data service and runs popular PC apps including Microsoft Word--albeit enhanced with support for drawing and annotations with Apple Pencil. Neither PCs nor tablets are growing rapidly anymore, at least not on a global scale. However, Apple has proven its ability to grow and profit within a stagnant industry via its premium products. 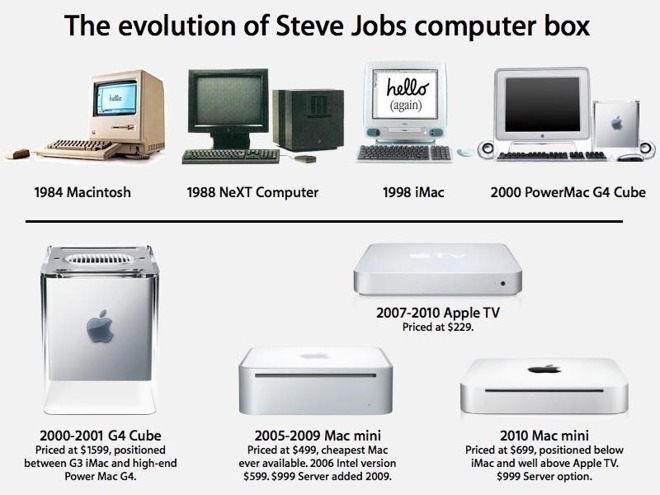 Macs did that for years within the shrinking PC market. The reason Apple is now increasingly targeting PCs in its iPad advertising--rather than other tablets--is that there's little value left in the outside "tablet market" to grab. Not even the second place tablet maker Samsung is doing well in tablets. Both Amazon and Google raced to the bottom of the bargain bin, proving that while you can build an extremely cheap touchscreen device, it won't necessarily result in a good product or a viable software development platform--particularly if you don't bother to pay attention to detail or craft a workable strategy. The largest segment (by far) of iOS apps is video games, but while Apple does focus on games in its marketing and works to delivers tools to support iOS game development, it hasn't really positioned iPad as being a gaming device, either. Again, there simply aren't really tablet gaming devices that have sold well or represent a signifiant opportunity for Apple. Nvidia's Shield and Nintendo's previous Wii U tablet were both simply treading water; Nintendo's new Switch may find a new class of buyers, but that remains to be seen. That leaves the PC as the best market to go after. Currently, most users are wildly over-served by an Intel PC running Windows. PCs are complex and designed to do virtually anything, meaning that simpler iPads can effectively leverage Disruptive Innovation to pry into the market from the bottom. Apple already owns the majority of the top of the PC market; further gains there will require increased efforts with diminishing returns. The lower end of over-served PC users is prime for disruption by iPad. Note that the Mac mini was first launched as a "Bring Your Own Display, Keyboard and Mouse" assault on lower end desktop PCs back in 2005. However, the low end desktop PC market has since dried up significantly, leaving behind PC notebooks in the $200-800 range, perfect for targeting with iPads. Apple appears to have given up trying to win over basic PCs using Mac mini as a drop-in replacement. It hasn't yet discontinued the Mac mini, but also hasn't updated it since late 2014. As a Post-PC device, iPad is purposely working to eat into basic notebook PC sales not as a drop in replacement, but by being far simpler and easier to manage. Its Intel-free design also makes it cheaper to build, fan-free and more power efficient with extended battery life. It's also extremely mobile due to being so light and thin. Apple's apparent strategy means you shouldn't expect iOS 11 to shoehorn lots of desktop PC conventions into iPad. Instead, the company is likely to enhance features like Split Screen and Slide Over to make it easier to work between multiple apps in new ways. 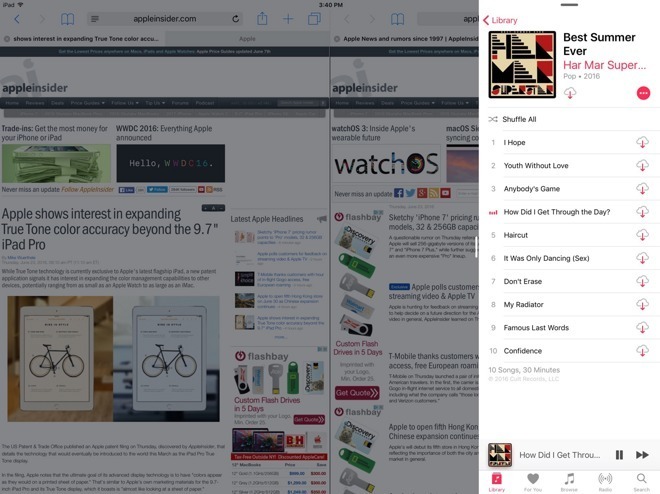 Apple has already made some efforts to enable multiple users in education using the Shared iPad feature. This might evolve into new support for multiple users in iOS for managed iPads (such as in enterprise deployments) but this functionality is also limited by the hardware resources of iPads. Faster silicon in the form of an A10X Fusion (or whatever Apple choses to name its next iPad Application Processor) will also assist in enabling more sophisticated screen UI features, as well as powering the advanced camera logic developed for iPhone 7 and providing the capacity to run more advanced games and powerful creative and business apps. Another area where Apple could increase user satisfaction on its iPad lineup relates to the migration toward USB-C. Apple can be expected to rapidly move to the new connector type on its iOS wall adapters and Lightning cables, potentially also enabling faster charging. It would also be great to ship wall adaptors featuring two USB-C ports, so users gain a new benefit while making the transition. Wall chargers with multiple USB-C ports could also incorporate a USB switch so that iPad users can easier connect a wired peripheral (such as a music interface or podcasting microphone) while plugged into power. 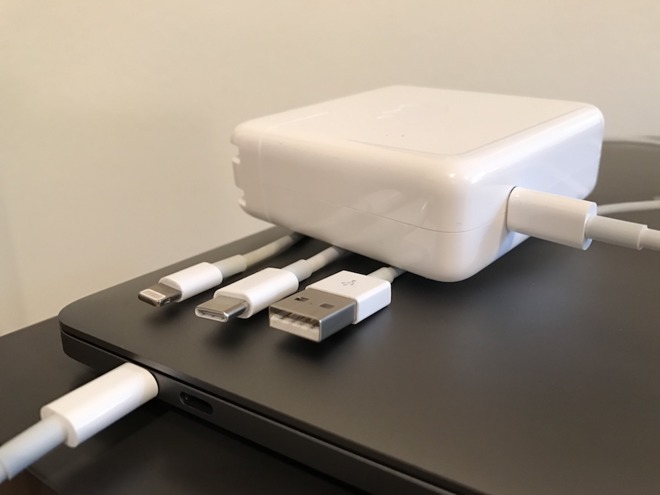 The Smart Connector on iPad Pro models could also be exploited to work with new types of peripherals. 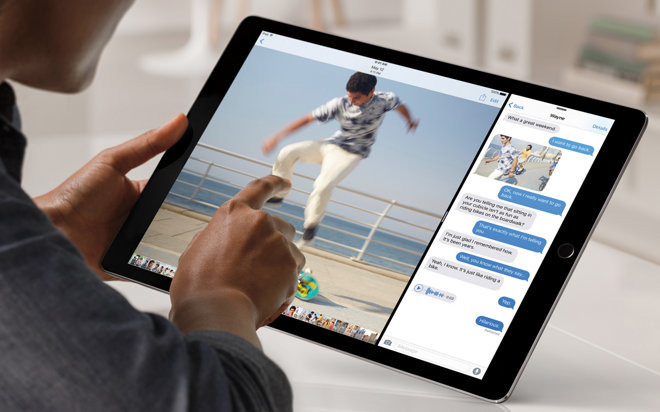 Apple has also made Continuity a primary focus, so faster connectivity between iPads, iPhone and Macs could be rolled out along with greater efficiency, perhaps using Bluetooth 5, which promises "4x range, 2x speed and 8x broadcasting message capacity." Other technologies that are likely to spread through the 2017 iPad lineup include support for Wide Color and the True Tone display introduced for the 9.7 inch iPad Pro, as well as the new model's improved camera features and Retina Flash, and the multiple speaker sound developed for iPad Pro models. Apple has typically launched enhanced hardware features on iPhone first, given that its smartphone is more expensive and drives larger sales volumes. However, it's still possible that Apple could debut new 3D sensors and Augmented Reality features on new iPads first, helping to fuel the demand for new apps before new iPhones are launched later in the year. Another potential way Apple could drive iPad sales is by marketing models as an aftermarket solution for CarPlay, effectively selling tablets to serve as a dash-mounted, wirelessly connected display for use while driving. Apple could also launch new education apps partners in the model of its IBM and SAP partnerships for enterprise apps. Working with education consultants and content developers to develop new workflows for use in education, Apple could strengthen its position faster than it can on its own. There are a variety of opportunities for enhancing iPads--particularly new iPad Pro 2 models--that would serve to make them better as "Post-PC computers," but there's also good reason for Apple to avoid trying to make iPads too similar to existing Macs, as a followup second segment on Jobs' Post-PC vision for iPad examines.